The city of Berkeley is pushing forward with a lawsuit to stop the sale of the downtown Berkeley Post Office, despite the U.S. 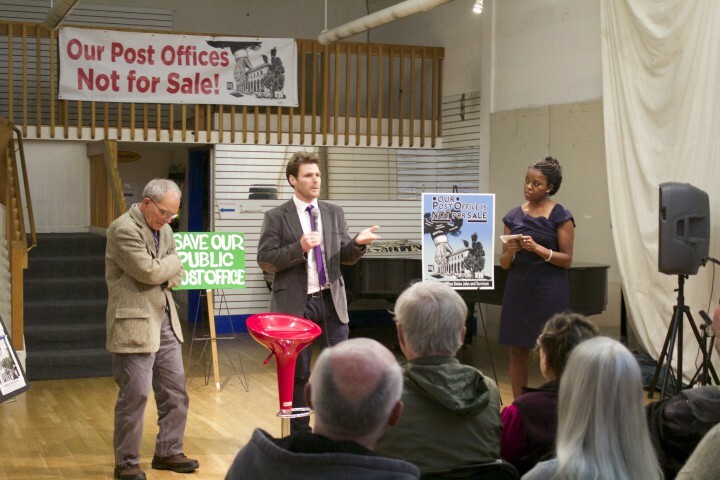 Postal Service’s claim that it is unnecessary as there is no imminent plan to sell the building, an attorney working for Berkeley told a crowd at a community meeting Thursday. After a deal between the USPS and local developer Hudson McDonald fell through in early December, and the building at 2000 Allston Way was taken off the market, the postal service filed a motion Jan. 22 to dismiss the lawsuits against it, saying they are moot without a prospective buyer interested in the building. Whether the Berkeley Post Office is placed back on the market is under consideration, according to USPS spokesperson Augustine Ruiz. The city and the privately funded nonprofit National Trust for Historical Preservation, which filed separate lawsuits in November, argue that their original complaints remain unaddressed by the USPS, and the case needs to move forward to prevent repeated violations in the future. According to the lawsuit, the USPS was contracting a sale of the post office without proper assessments required by the National Environment Protection Act and National Historic Preservation Act. That violated sections of the federal regulations by failing to consider alternatives to selling, including leasing. The USPS also made an “arbitrary and capricious determination” that a sale would have no adverse effect in preserving the building’s historical and practical value, according to the suit. Ever since the USPS announced plans to sell the post office in 2012, the city and some of its residents have fought continuously to save the Berkeley Post Office. Since July 2013, protesters have repeatedly camped out in front of the downtown post office building. Citizen activists and lawyers met together Feb. 19 at the Arts Festival Space at 2133 University Ave. to find out what has happened in recent months and where the case is heading. After giving an overview, Antonio Rossmann, the attorney representing Berkeley, and Brian Turner, the attorney for the National Trust, answered questions from a crowd of more than 40 people. Carol Wolfley of the Berkeley Post Office Defenders, and Susan Hammer of the American Postal Workers Union, spoke before the attorneys. Hammer discussed the postal service’s efforts to close processing facilities and what consequences it had on the workers. Throughout the meeting, Rossmann and Turner seemed confident that the lawsuits could have a significant impact on future attempts by the USPS to sell its historic post offices around the nation. “We are going to make some laws out of this,” Rossmann said. Rossmann, a longtime Berkeley resident who has worked previously on environmental conservation lawsuits, spoke of the numerous times he had found the USPS working covertly to sell the post office without consultation from public and government agencies. He discovered the postal service and Hudson McDonald were in contract over the building through a postal worker, and promptly filed a motion for a temporary restraining order on behalf of the city. A judge granted the order but dismissed it after the sale fell through. “The postal service takes great pride in that they are part of the constitution, but they act like they aren’t part of the government, like they are not a government agency,” Rossmann said. Since the USPS motion Jan. 22, the two parties have been in a “battle of words,” according to Turner, who represents the National Trust. Federal District Court Judge William Alsup will hold a hearing March 19 in San Francisco to determine whether the lawsuits will continue despite the lack of an imminent buyer. For the time being, both parties are focused on the upcoming hearing, not on a negotiation to reconcile the future of the downtown Berkeley Post Office. However, one of the plaintiffs’ main demands has been to place a strong covenant — a contract with conditions tied to the deed — on the property for future owners. Berkeley wanted a portion of the money from the building’s sale to enforce the covenant and have the postal service, instead of the city, be the enforcer of the covenant, according to Turner. The USPS countered with a “watered-down covenant,” he said. Ruiz disagreed with that assertion. 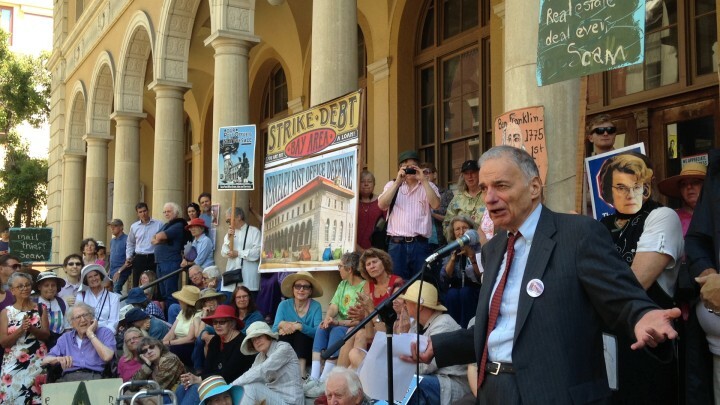 He told Berkeleyside that the USPS accepted major changes to the covenant to comply with the city’s demands, but said the two sides had been unable to reach an agreement. When the USPS suggested Berkeley be the holder of the covenant, the city declined, said Ruiz. There are other resolutions the Berkeley City Council may find satisfactory, according to Rossmann. One was retaining ownership of the building while leasing the rear part of it to other public uses, much like the Alameda County Superior Court building. The other would be to sell the building with a long lease-back for at least 50 years. Berkeley City Council members have repeatedly stated in the past that they do not want the USPS to sell the building. But it appears there may have been a slight change of heart as both attorneys mused about selling the building under a tight leash. KQED News Associate Berkeleyside is an independently owned news website based in Berkeley, Calif. Click here if you would you like to receive the latest Berkeley news in your inbox once a day for free with Berkeleyside's Daily Briefing email.